I'm sure a lot of you are familiar with the older turbo comparison chart. 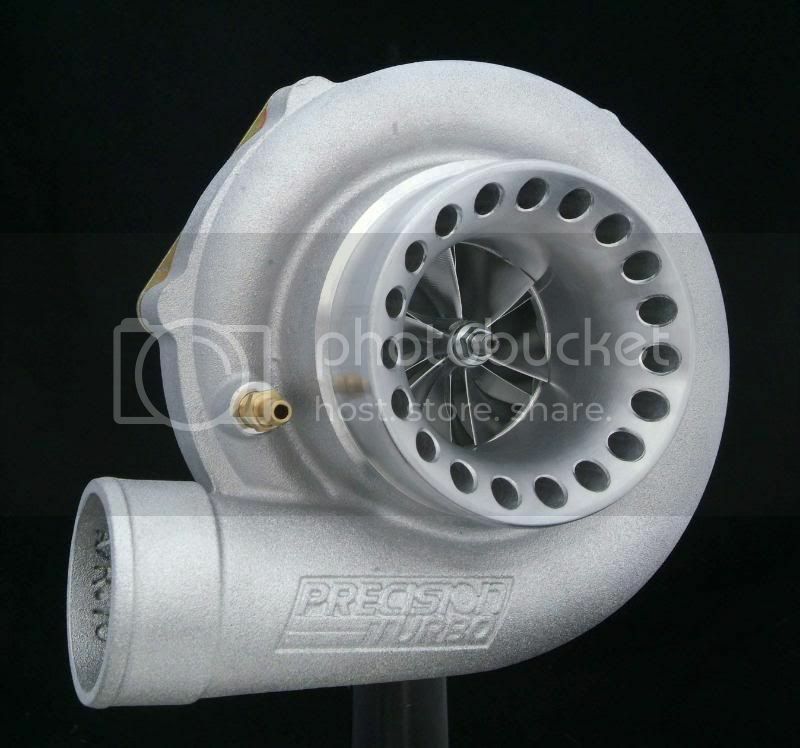 I've wanted to redo the turbo listing for awhile now as Precision's technology has changed dramatically over the years. Welp, it was one of my first projects when I came back to Precision. So, without further delay, here is the latest turbo comparison chart. As you can see, I broke it up into two charts. The first chart shows the Old School nomenclature / turbo models and what they have been displaced by. Their basic specs and hp ratings. 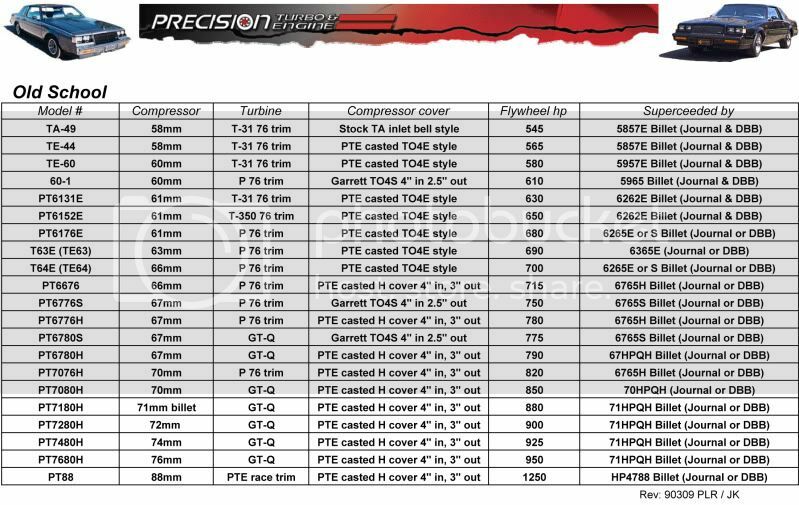 The second chart shows the New Precision Turbo part numbers, their new specs, flywheel hp ratings and suggested stall requirements. Given, with todays new torque converter technology ever changing, the older rules for stall recommendations have dramatically changed. Dusty and the guys at PTC have really rewritten the books when it comes to this area. Also, in the Stall recommendations column, you will see "J" and "DBB". J = journal bearing cartridge and DBB = dual ball bearing cartridge. With regards to turbine housing options, the 57mm turbine wheel equipped turbos, are only available with our THB3-57 (.63 A/R) turbine housing. All of the rest of the 3-bolt turbine housing turbos, are available with either the Precision .63 or .85 A/R turbine housings. (IE: 62mm, 65mm and 68mm turbine wheels.) As always, the compressor cover options are designated as E, S or H.
E = TO4E style compressor cover. 3" inlet, 2" discharge, .60 A/R. S = Precision's new 2nd Gen cover with logo. 4" inlet, 2.5" discharge .70 A/R. SP = Precision's new 2nd Gen cover with logo and Ported shroud. 4" inlet, 2.5" outlet, .70 A/R. H = Precision's new 2nd Gen H cover with logo. 4" inlet, 3" discharge .75 A/R. HP = Precision's new 2nd Gen H cover with logo and Ported shroud. 4" inlet, 3" outlet .75 A/R. We will be working on updating our website soon. If you guys have any further questions about these new Buick turbos, by all means post them up on here, or you can PM me or even call us. In most cases, we are 5-7 working days on all new turbo orders, if all the parts are on the shelf. As you can imagine, demand is very high with our new Billet technology turbos and we greatly appreciate every ones patience with these matters. 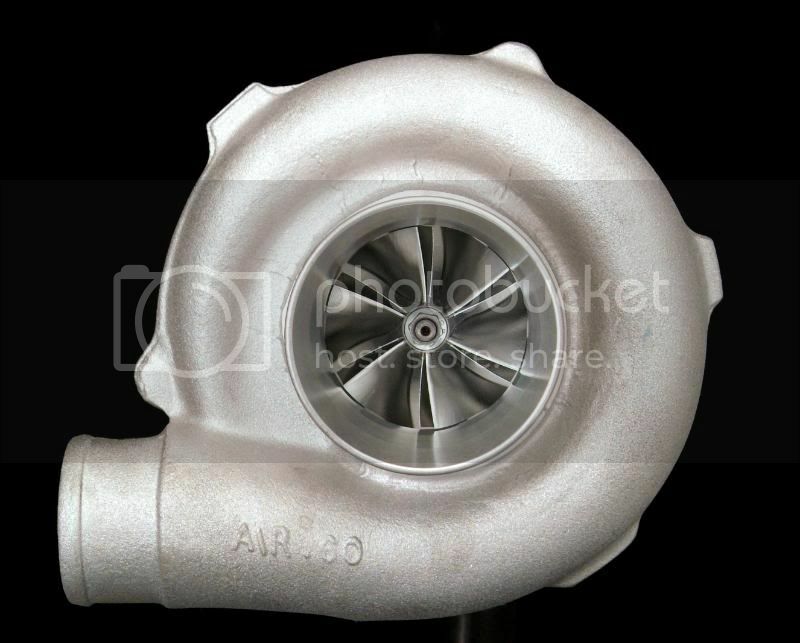 These turbos are currently available through all of our Dealers and Distributors. Including and in no certain order, Big Wood Racing, Full Throttle, Hartline Performance, Cotton's Performance, etc etc. These vendors are also supporting members on this site, so show'em some love guys and gals. been waiting for this, many thanx patrick!!!!!!! Hopefully, Jay or Shane will put this post at the top as a sticky. I'll make it a sticky in a few days, just wanted to let everyone see it first under the normal posts. What is the TE-61 replaced with? Awesome. About time someone updated that. Thanx. Good work. 1st off, the stall requirements. Is this comparison using the old school, or new school stall technology? Would it be possible to show the comparisons between the new technologies? I mean like, for example, the TE60 put out this much hp, and required this much stall. Its replacement, the 5957, has the same diameter wheels, but has X amount of hp outpout, and requires this much stall speed now, due to so and so technology? I would like to be able to see the jump in capabilities on one chart, due to this new tech. It would be interesting. This new stuff is really exciting. And, would asking to show how the requirements have changed for new torque converters be applicable here? Or does that belong in the trans section. Thanks Patrick, I have been hoping for this for months! Ive been waiting on this info too. Very helpful. I would like to see an ET list of what guys are running with each turbo and their mods so we could have some comparison data. I find it very interesting to see what people have for ETs in comparison to mods and turbos. Seems like some of the more popular billets are showing up in signitures but not alot of times for comparison's sake. Awseome list. Great work. I see that you have the 60-57 listed on the bottom chart, but not on the top. Just an observation. 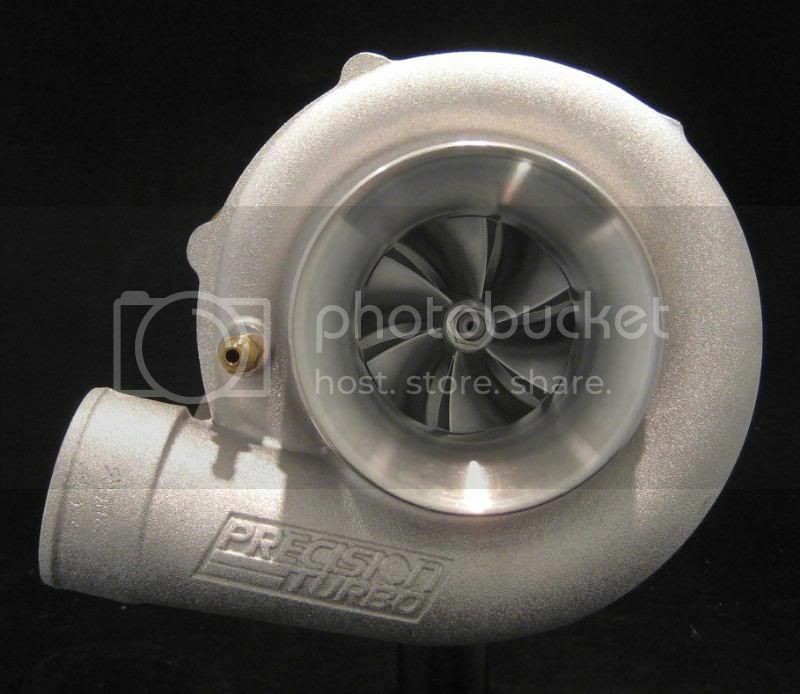 I, like Pronto, would like to see some et's with these new turbo's. I will be in the market for a new turbo (DBB) shortly. Awseome list. I see that you have the 60-57 listed on the bottom chart, but not on the top. Just an observation. Yep, that's because the 6057 is a new model turbo that features a billet compressor wheel. Sorta falls between the TE60 and a PT6131E. 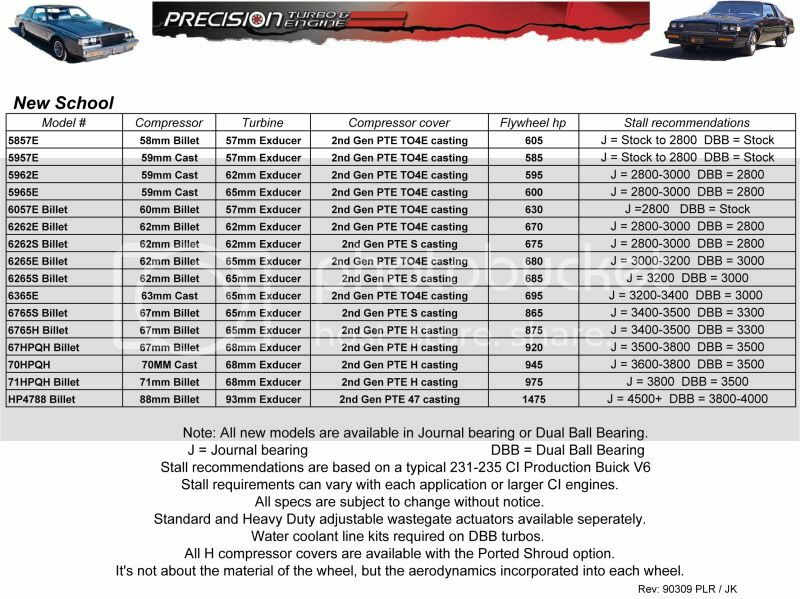 The New School charts' suggested stall ratings have been derived from customer feed back and utilizing the latest torque converter technology from PTC. As far as hp differences, they have mainly been attributed to the aerodynamic design of the billet compressor wheels. And speaking of billet wheels, where as one wheel in the past was considered a High efficiency wheel, (IE: it liked to be run at very high boost levels) these new Billet wheels are very comfortable being run at lower boost levels. All of these models listed on the New School chart have useable boost levels of 12psi all the way up to 35psi. Most street cars don't live very long at 35+psi tho. That's not to say that they won't make anymore power past 35psi, on the contrary, they make power up top as well. Exactly what those levels are, have yet to be determined. The biggest thing we are seeing, or should I say, have customers telling us, is that they can actually turn their boost levels down and run the same times with these new Billet series turbos. This has been the case with both the new 6262 and the 6765 turbos, which have displaced the 6152 and 6776 turbos of the past. And of course if they turn the boost level back to what they were originally running, are making quiet a bit more power. With these models being very new to the Buick market, it will take some time to read about more results as more of these make it onto peoples cars. Another thing, not many Buick owners out there are all about dyno testing. Most Buick owners that I know personally either play on the streets, or take it straight to the track. Which, in my opinion, track testing is the best method. I would love to see these tests performed on some real world Buicks. Take 4 cars. One being a bone stock with fuel system mods of course, make 3 runs. Let it cool completely, remove the stock turbo and install an out of the box Billet 5857E journal bearing turbo and make 3 more runs. Second car would be a slightly more modified car with basic bolt ons, you know, 3" downpipe, aftermarket intercooler, fuel system mods, a good torque converter, etc etc, and either a PT6131E turbo or a PT6152E turbo. Make 3 runs, remove the turbo and install a new Billet 6262E journal bearing turbo with the wastegate hole ported to match whatever downpipe setup. Then make 3 more passes at the same boost level. The third car would be a typical full bolt on car with stock bottom end, heads, intake, t-body, plenum, cam, fuel system, good converter, built trans and a PT6776 turbo. Make 3 runs, swap the turbo for a Billet 6765S journal bearing turbo. Then make 3 more passes at the same boost level. Fourth car would be a TSM combo. We're all familiar with one of those right? 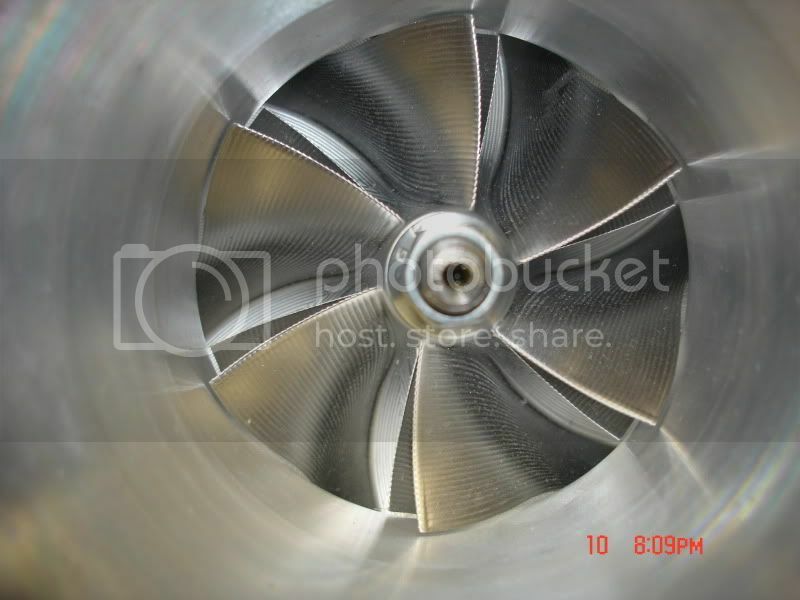 Take the PT70GTQ or PT71GTQ off and install a new Billet 71HPQH turbo and hold on. These would be 4 really good comparisons, as the main changes are to the compressor and turbine wheel. Not necessarily going from journal bearing to dual ball bearing. But I can say that going from journal bearing to dual ball bearing makes a significant difference in spool up. I hope everyone gets some good use out of these new charts. I know that my next turbo Buick will be a mid mileage (40-80k mile) stocker with bolt ons, running a Billet 6262S turbo, with ported shroud and dual ball bearing on it with a PTC converter, some 65# Mototrons and a Turbo Tweak chip. Billet 6262 with E cover. To me, dynos don't tell the story. First of all they all don't measure hp and tq the same. Next I see lots of cars the have good dyno sheets and then are slow at the track. For example, there's a guy at a local cruise with a Mustang thats got a dyno sheet saying he's got almost 600hp but he stinks at the track. I would much rather see track times of cars with similar mods to see what the average is. Can you explain what the ported shroud does?